Da Da Da Da Life Goes On*: Romanian Youth: Join T.H.I.S! Romanian politics are a tough subject. Up until today, I have generally avoided the topic in this blog, in Romania, and in my relationships with Romanians. But today there is a Boston Globe article on yesterday's vote on the impeachment of Romania's President Basescu, and I believe it is time to publish my one idea on how my beloved Romania might solve some of her domestic political problems. There are far more university-educated Romanians between the ages of 20 and 30 than there are well-paying jobs for college graduates in Romania. Hence, there is a body of perhaps a million to two million smart, underemployed youths in Romania. These youths have a vested interest in growing the Romanian economy. A major barrier to the growth of the Romanian economy through foreign direct investment is the Romanian government's reputation for rampant corruption and stifling bureaucracy. Even as the Internet-organized Obama campaign of 2008 rallied the youth of America to get him elected President of the United States, a coordinated block of a million or more young voters could sway many local, regional and national elections in Romania. The fact that Romanian youth are even more Internet-savvy than Americans could facilitate such coordination. The objective of T.H.I.S. is an honest government that serves the people, rather than one that sees the people as its subjects, there to serve the government's ends. T.H.I.S. does not (ever) form a political party. T.H.I.S. does not give money to any political party. T.H.I.S. never sponsors a candidate for office. T. for Transparency. Transparency means that government offices have clear glass windows in all their office doors. Transparency means that all domestic functions of government are open to financial audit and ethical inspection by independent citizens or citizen groups, that meetings are open to the public, and that government officials have nothing hidden, because they have nothing to hide. H. for Honesty. Honesty means that government officials tell the truth, admit when they err, admit what they do not know, and work to remedy such shortcomings, rather than cover them up. I. for Integrity. Integrity means that elected government officials do what they say they will do. In politics, not all promised goals might be achievable, but the politician with integrity strives to keep his word to the people. S. for Service. Service means that the government exists to serve the people, and not vice versa. Officials acceptable to T.H.I.S. embrace and evince the philosophy of government by and for the people. T.H.I.S. 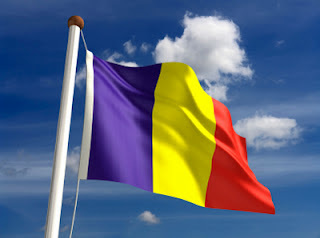 is an independent organization of Romanian youth. Perhaps its public face is no more than a Web site. The dedicated people at T.H.I.S. evaluate sitting officials on the four criteria listed above. A rating scale might be developed for each, hopefully a simple one. Thus, a T.H.I.S. Score could be reported prior to each local or national election. T.H.I.S. members, if they vote as a block, could remove low-scoring officials. In the first election cycle, the effect of T.H.I.S. might be such that by the second election, officials would be paying attention to the principles of T.H.I.S. After two election cycles, T.H.I.S. could reform fair Romania, and allow her to blossom, as her beauty and talent so richly deserve. "The Best-Laid Plans of Mice and Men..."